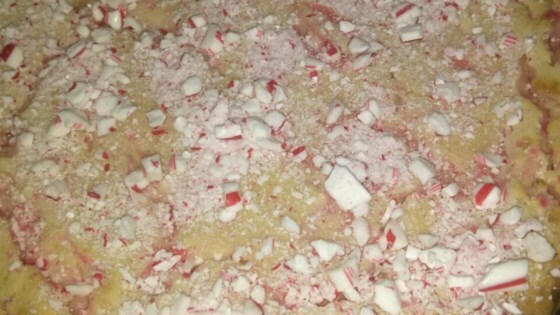 "If you love cheesecake and love peppermint candy this will be perfect! Delicious and great for the holidays!" Place cream cheese, sugar, and vanilla extract in a large bowl. Beat with an electric mixer on low speed until smooth. Mix in the eggs 1 at a time until well-incorporated. Fold crushed peppermint candies into filling with a spoon, reserving 2 tablespoons for decorating the top. Pour filling into the prepared crust. Bake in the preheated oven until cheesecake is set, about 40 minutes. Allow to cool at room temperature, about 1 hour. Refrigerate cheesecake until completely chilled, 4 hours to overnight. Sprinkle reserved peppermint candies on top. Watch how to make perfectly sweet cheesecake pops. Turned out great! I made for a winter/Christmas party and everyone loved it! This is best in the winter time with some hot cocoa.